Batch #2 is a Cabernet Sauvignon blend of 6 hand selected barrels, from some of the most iconic wineries in Napa Valley. Aged for 3 years in oak and bottled February 24th 2017, our vision was to create a Napa Cab that captures the true essence of the year 2014. Unlike the single vineyard cabernets, this cabernet showcases a whole range of the signature Napa Valley flavors with a refine complexity and balance. Unfiltered and natural, we believe that this American wine is one of the very best value Cabernet Sauvignons in the world from 2014. Our 6 barrels of French oak were all purchased from different cooperages. 4 new oak barrels, 3 medium toasted and 1 heavily toasted. The last 2 barrels were used 2nd fill. Our goal was to create a small artisanal blend without over powering it with oak and without sacrificing Napa Valley's terroir. 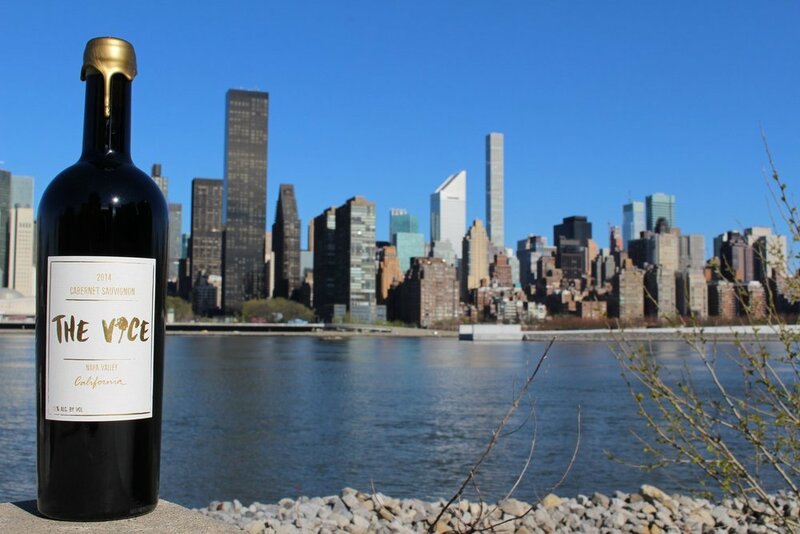 The 2014 Vice Cabernet Sauvignon is sourced from 7 vineyards in across Napa Valley. Three vineyards in Rutherford, a vineyard in each Yountville, Howell Mountain, Mount Veeder and Stags Leap. Taste: the flavors are bright and focused with gorgeous layers of confit plum, blackberry jam and cocoa powder. The finish is long and generous with smoked cherry wood and smooth integrated tannins. While only a small percentage of wineries release their cabernets 3 years after harvest, we believe that 3years in barrels is the perfect age for such cabernet to be mature. The wine can be enjoyed. Under the right conditions, Batch #2 can develop for over the next decade. It is preferred to decant this wine so that this unfiltered cabernet expresses itself without holding back.